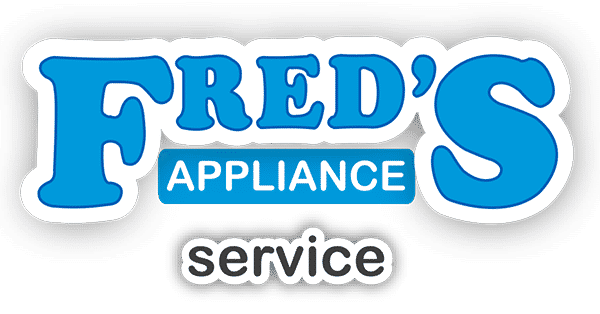 One of the most common problems in dryer appliance repair is that the dryer seems to be working properly but it is not drying. A clogged dryer vent could be the issue. It is relatively easy to check and see if this could be the problem. First, unplug the dryer and slide it out so that you are able to access the vent. Loosen the clamp on the back of the dryer and slide it out. Reach in as far as you can or use a vacuum cleaner to help clear out the lint. Also, reach into the tubing or use the vacuum to get the lint that is there. The majority of the lint should be at the ends, but some can get in to the middle of the tubing. Using a plumber’s snake, coat hanger or your vacuum hose to get in these hard to reach places will ensure that you have removed all of the lint. Now you can reattach the vent. It is also important to check the vent on the outside as well. Remove the cover and again reach in or use the vacuum to get all of the lint that is there as well. Birds have been known to build nests in the vent if you do not have a cover, so a critter could be causing a problem also. After the vents are cleared, plug it back in and run it on fluff for several minutes to see if that worked. Debris may still come out of the outside vent. Once it is cleared, put the outside cover back on. It is important to clear the lint and periodically check the vents. Lint fires account for thousands of fires a year. 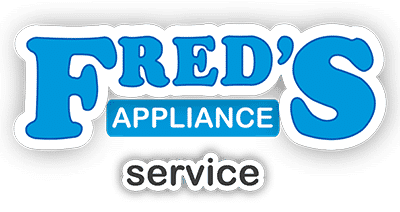 If your dryer is still not working properly, then it may be time to call Fred’s Appliance for the dryer appliance repair services that you need. 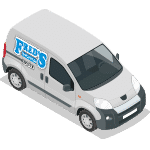 Please contact us for all of your dryer and appliance needs.